Bill Windsor discovered in 2006 that federal Judge Orinda D. Evans in Atlanta Georgia was an evil, corrupt woman. Judge Orinda D. Evans is as corrupt as they come! 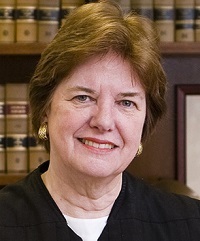 She has been a federal judge in Atlanta, Georgia since 1979. Judge Orinda D. Evans has committed hundreds of counts of perjury and obstruction of justice, but no one will do anything about it. What happened to me has happened to tens of thousands of others, and it could happen to you. Judge Orinda D. Evans stole millions of dollars from me.